I bought this leopard coat - and it's 50% off! This pink sweater has a “surprise” in the back - and it's 50% off. This sweater that I want to buy in several colors is 48% off. This faux fur trimmed puffer vest. This camo vest is on sale! I stock up on these staple v-neck sweaters - at 50% off. This classic sweater has a very flattering neckline. This popular parka is 48% off. This faux fur pouch would make a great party accessory or stocking stuffer at 50% off. I bought this winter white coat - and it's 50% off! I cannot believe this bag is 50% off. These knit UGG boots are 25% off. These look like comfy lounge leggings. This cardigan is only $10. These designer jeans in a great denim wash are over 60% off. This cozy faux fur pillow is $17. These cute “heart” pajama leggings. Be sure to join Whitney on The Blended Blog - she is sharing all things that sparkle this Christmas season! And, if you are looking for some ways to add "sparkle" to your Christmas outfits - here are a few looks I put together. That satchel at the top is gorgeous and I love the sequin top too! So super chic and fun! Have a great day beauty! I want to wear that first outfit today. Love it. I could totally see you wearing that - and looking fantastic! I love this combo of neutrals! Definitely going to copy this one. The grey and camel look so chic together and the scarf just ties the whole look together! And the sequin pieces you found are just fabulous! We all need some sparkle at holiday time! 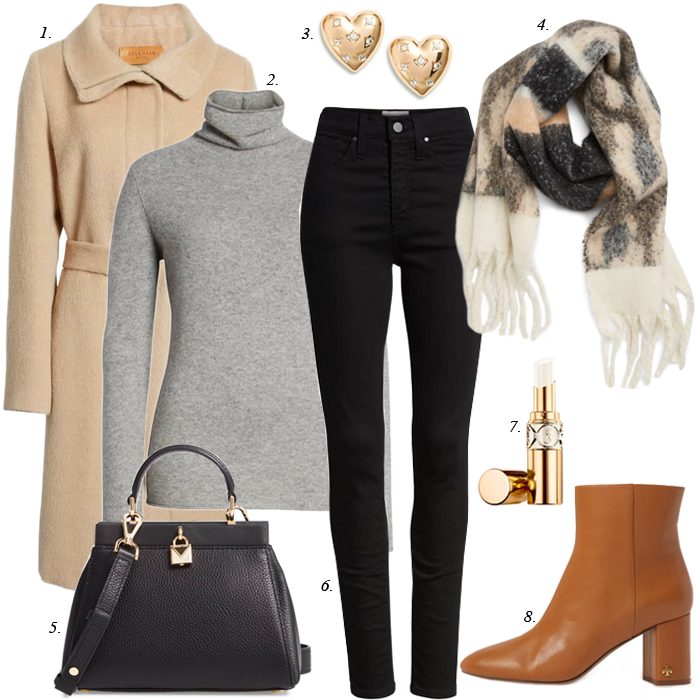 The neutral outfit is so chic and that scarf is the perfect piece to tie it all together! I'm loving the sequin midi skirt! So pretty! I love this first outfit, it's so classy and chic!